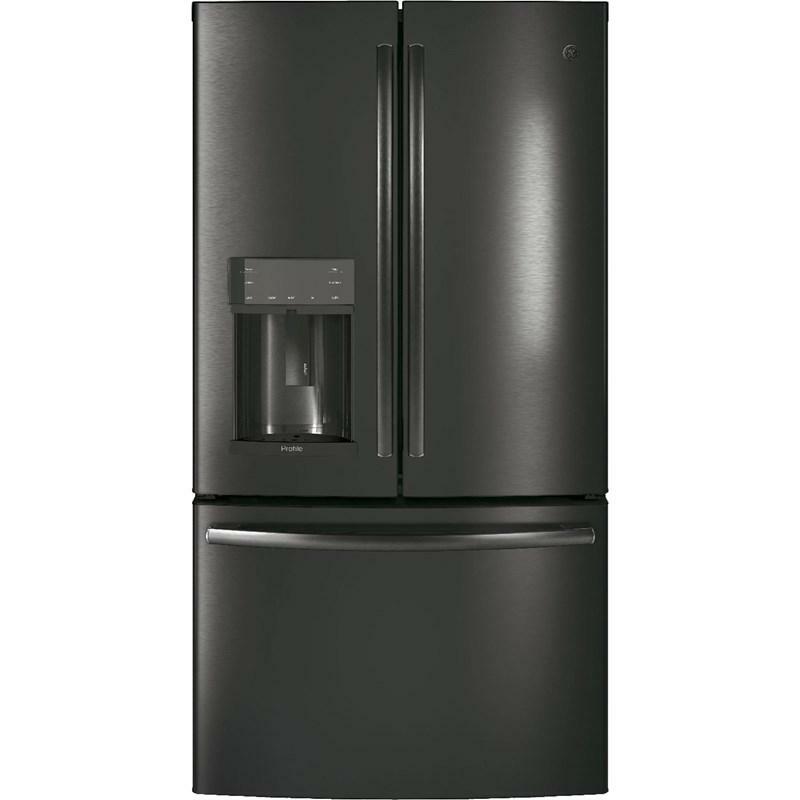 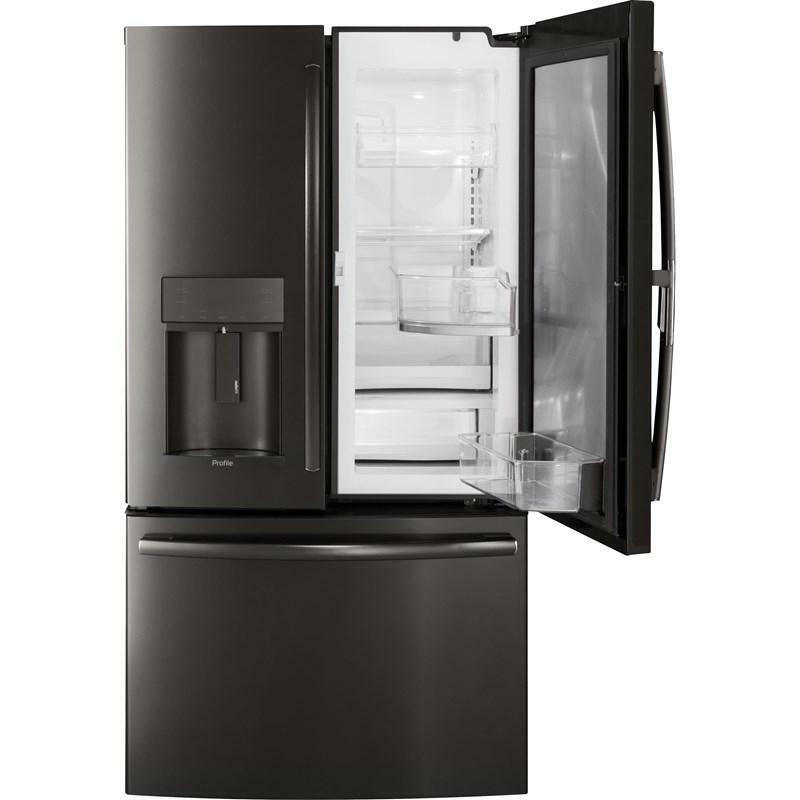 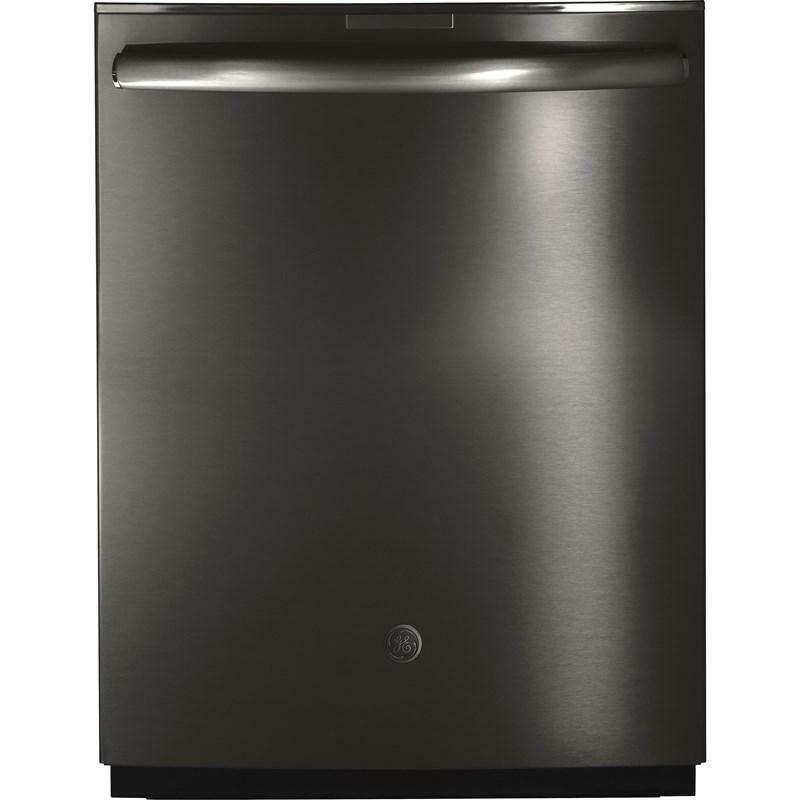 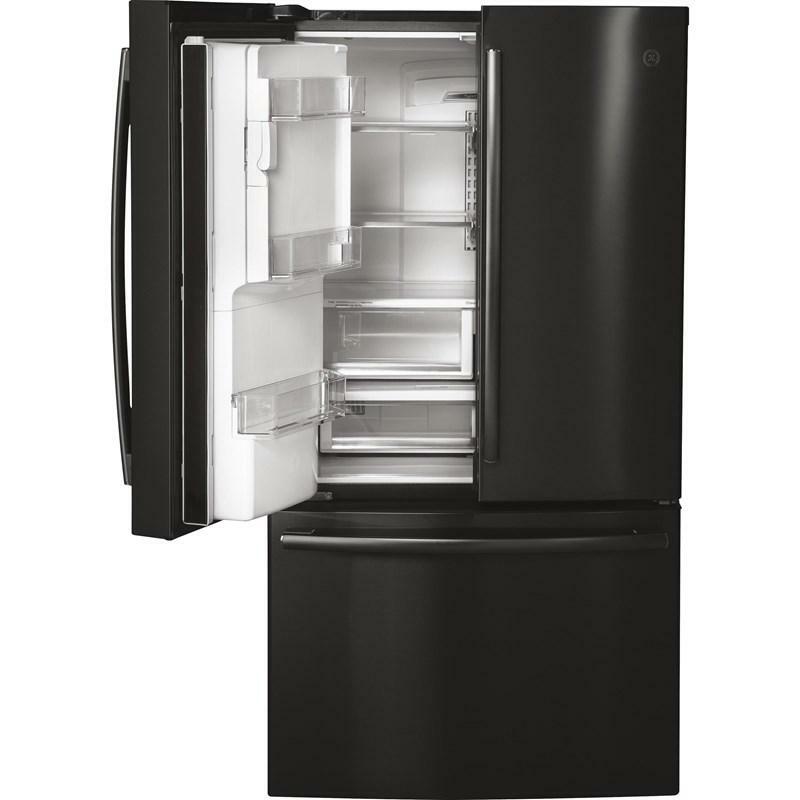 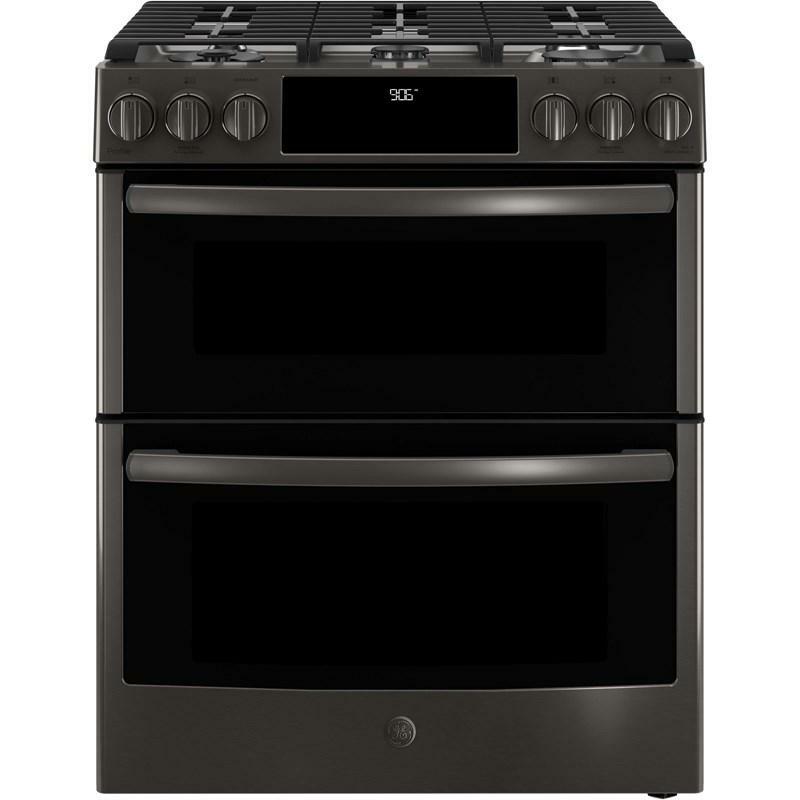 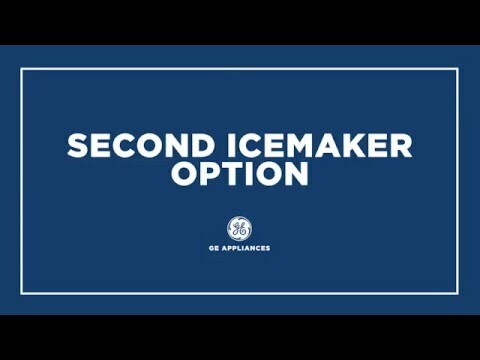 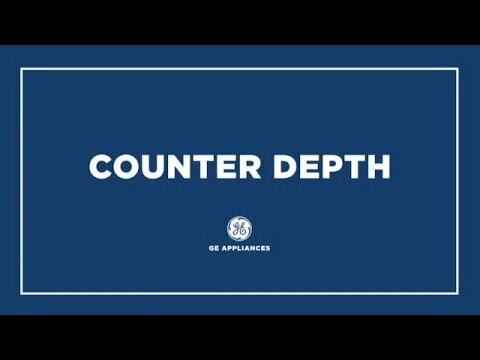 GE Profile™ Series 22.2 cu. 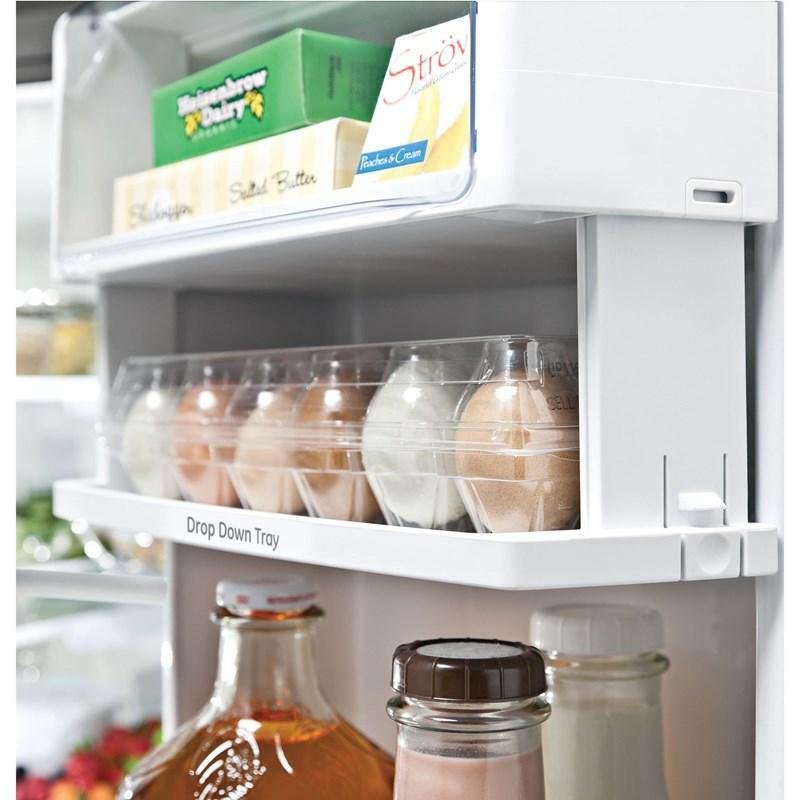 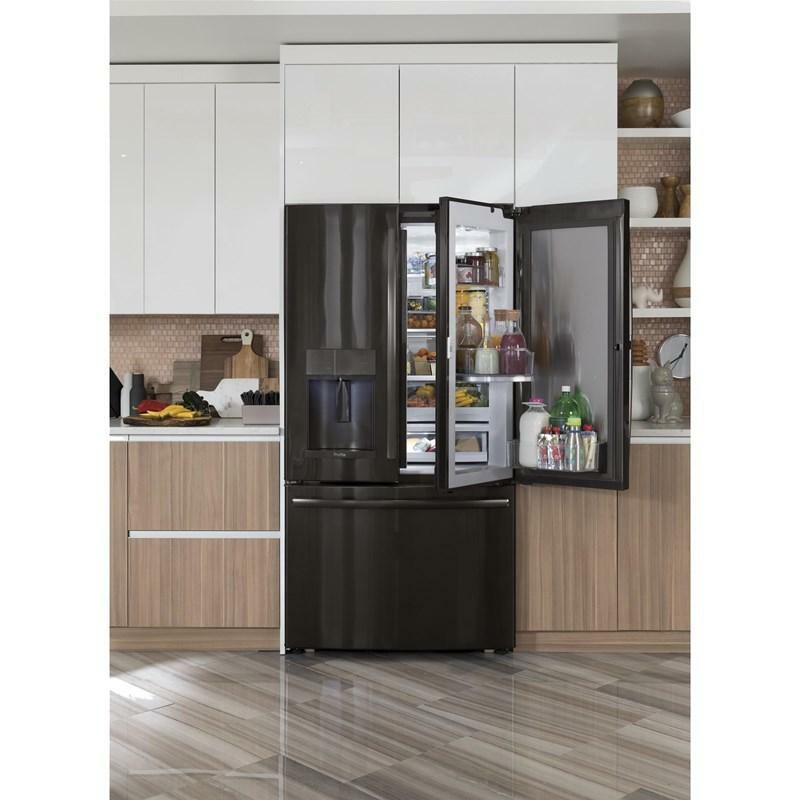 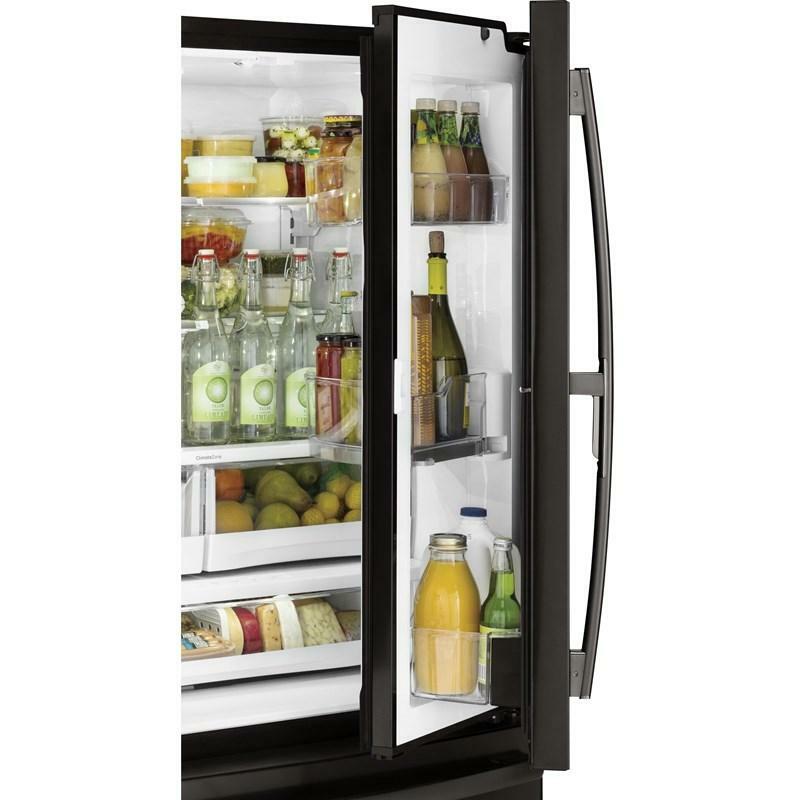 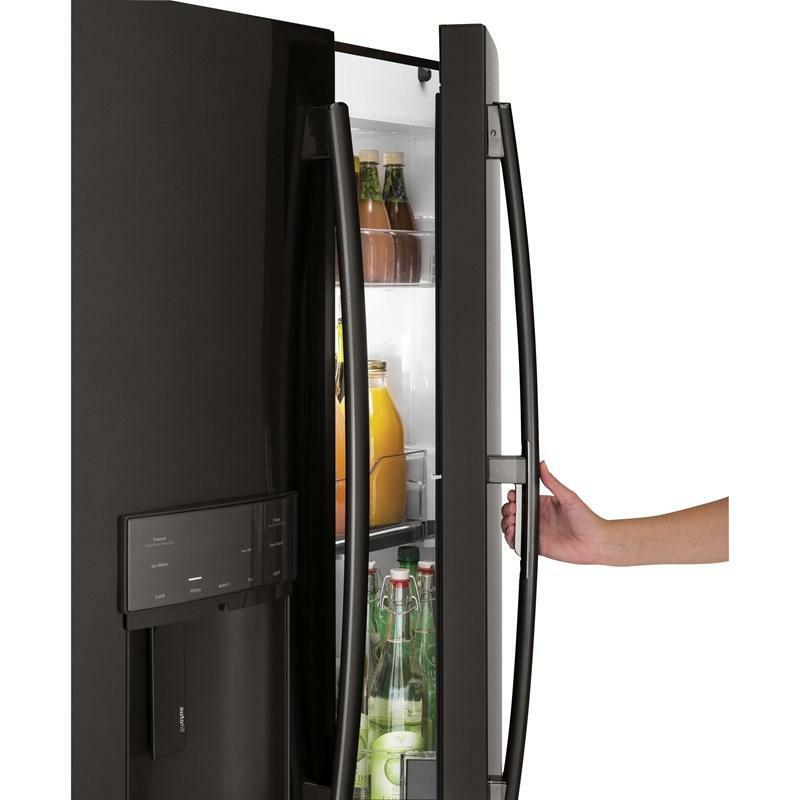 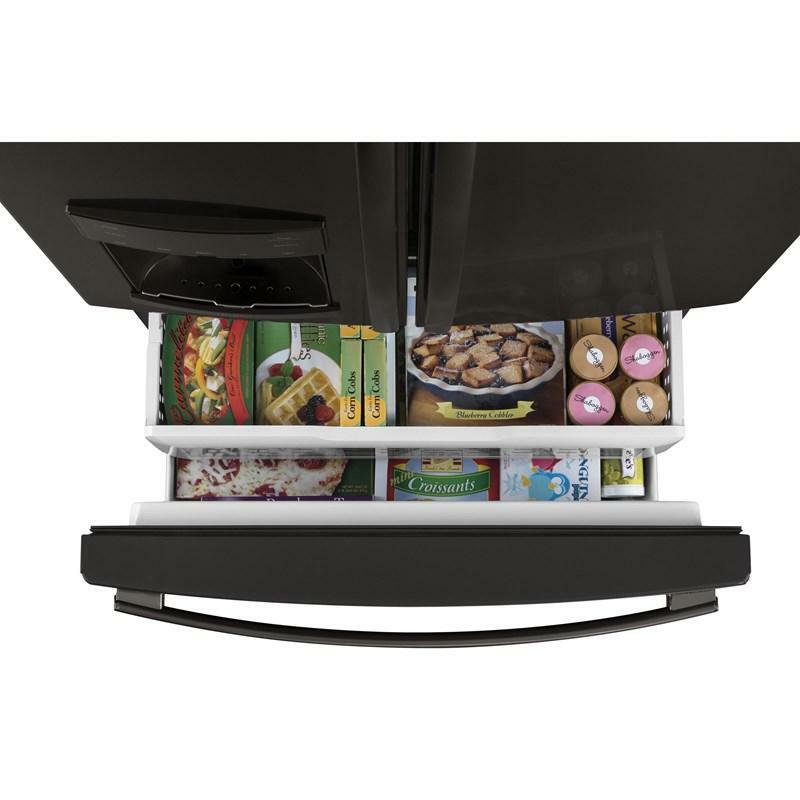 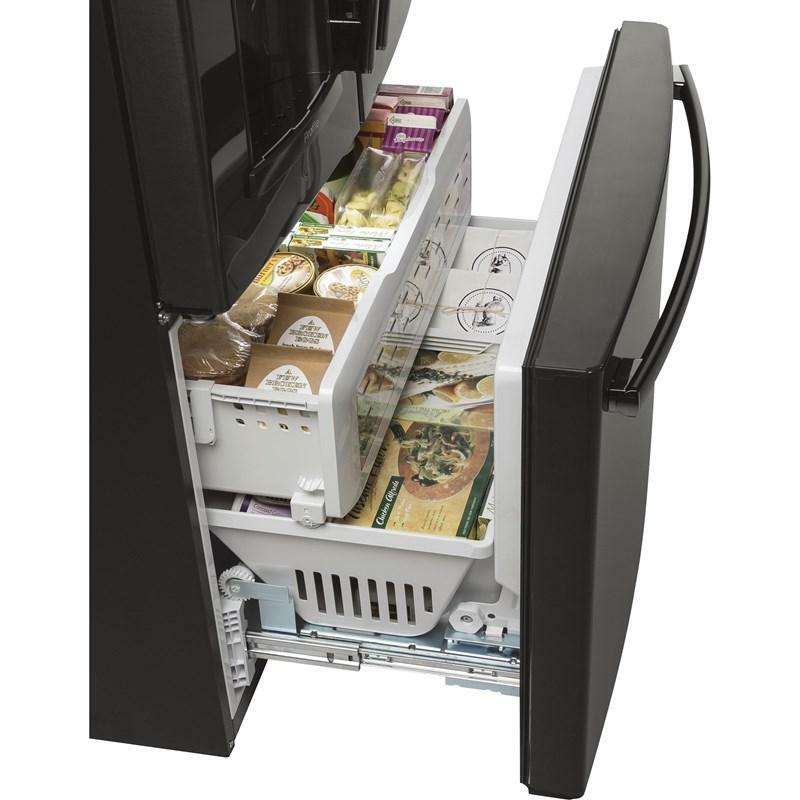 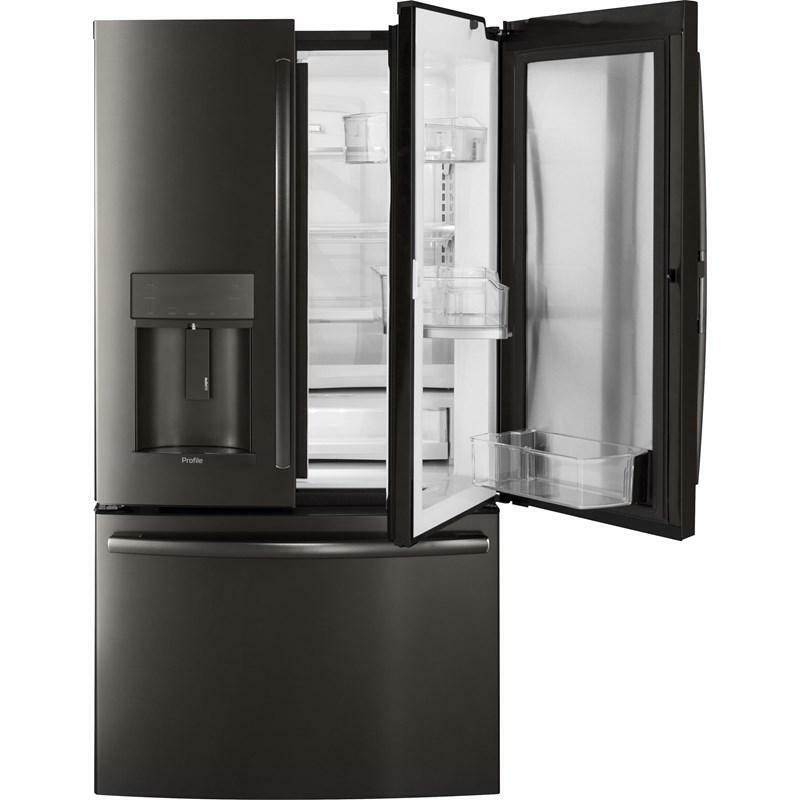 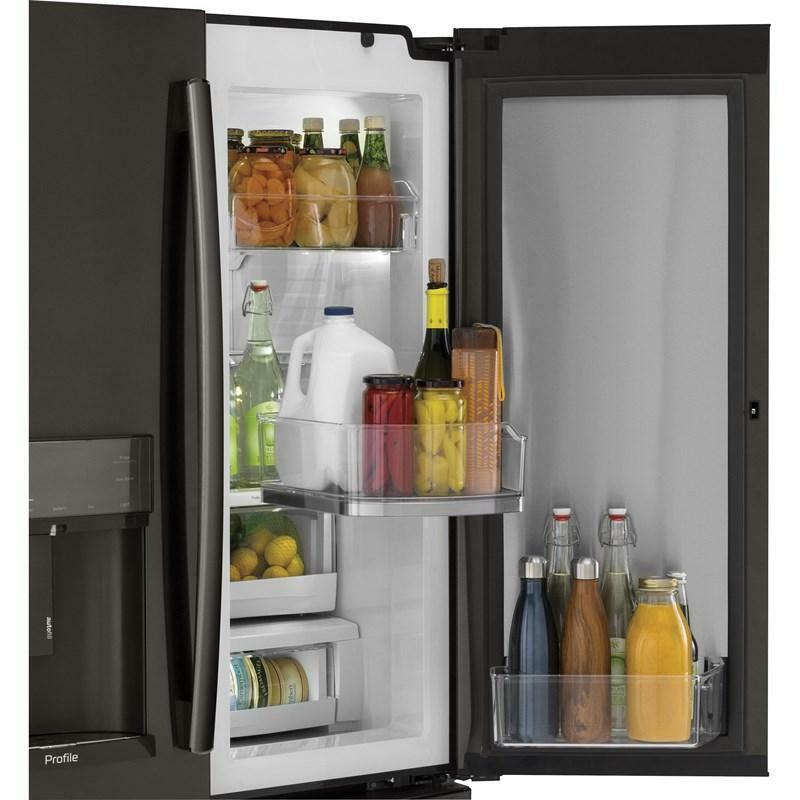 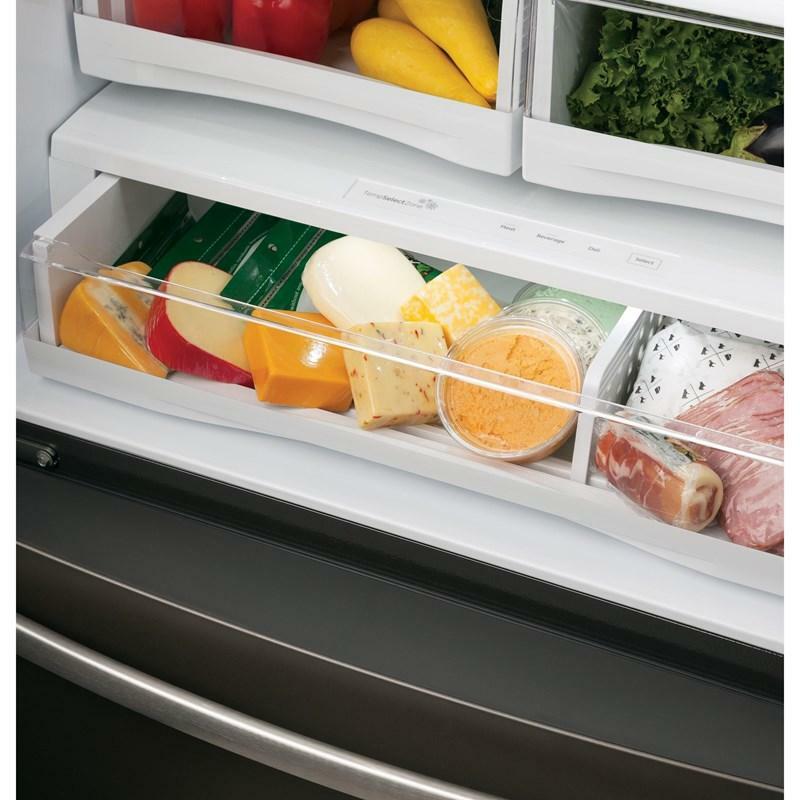 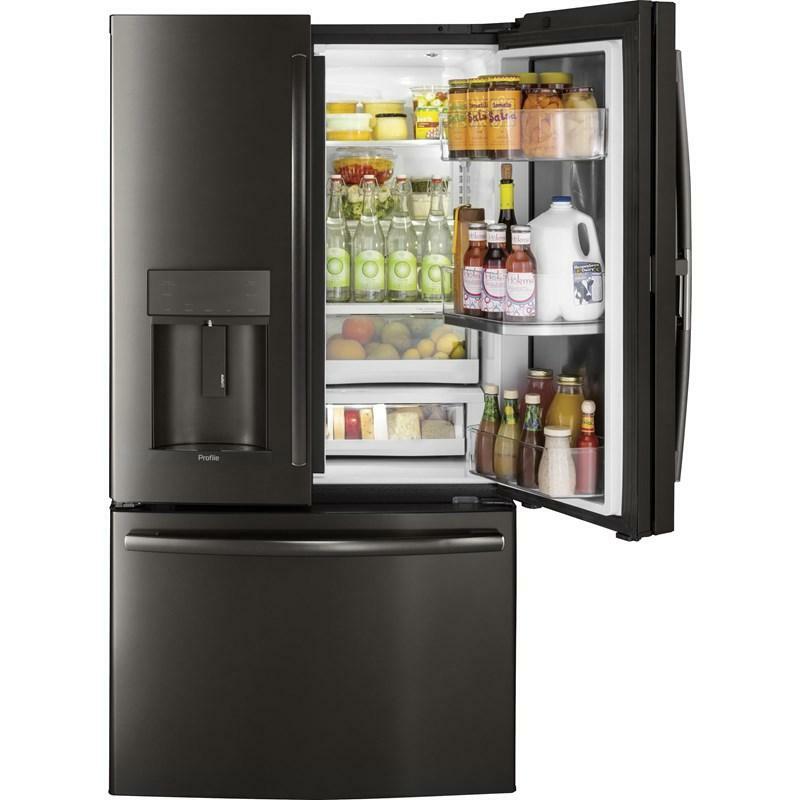 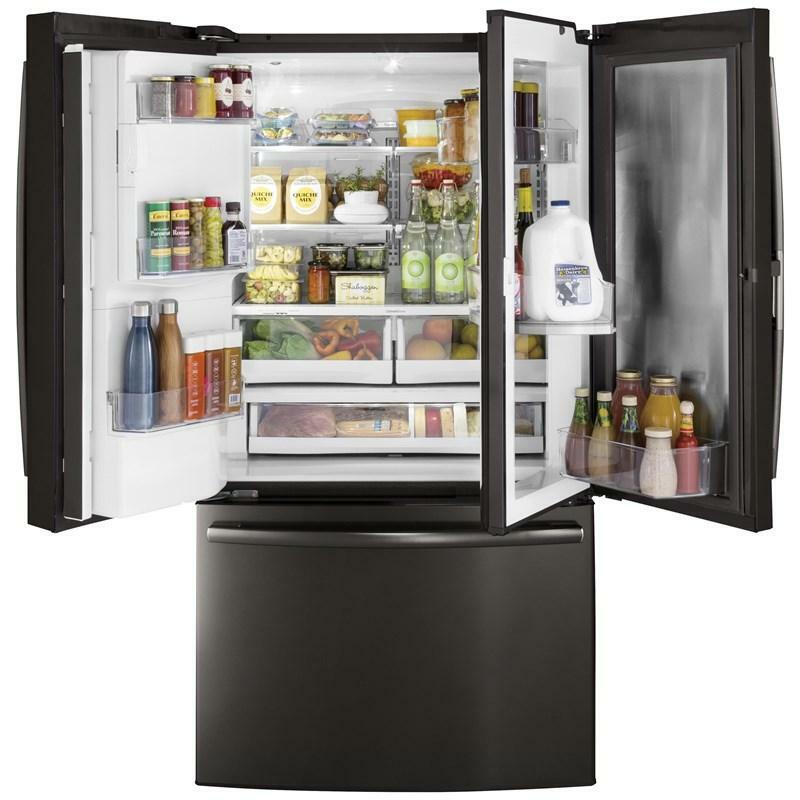 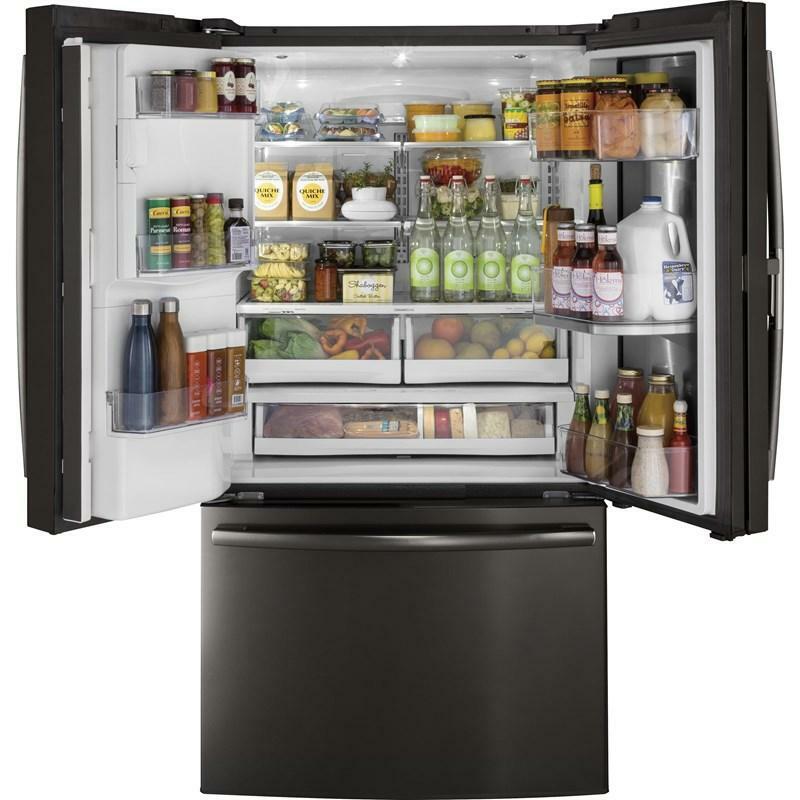 ft. counter-depth French 3-door refrigerator featuring a hands-free autofill dispenser, TwinChill™ evaporators and showcase LED lighting. 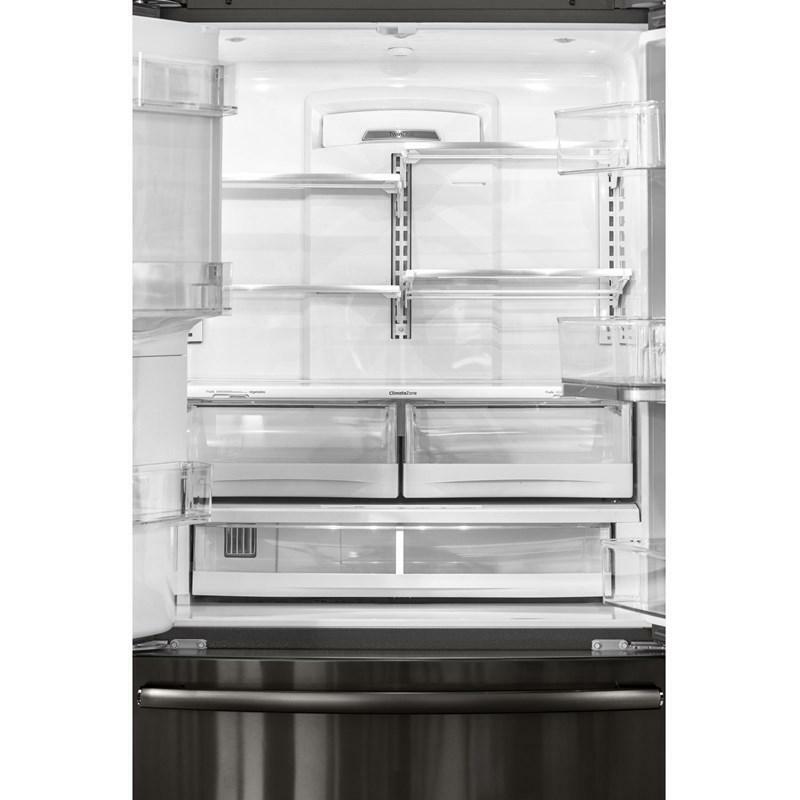 Offers a built-in look by fitting nearly flush with surrounding cabinetry. 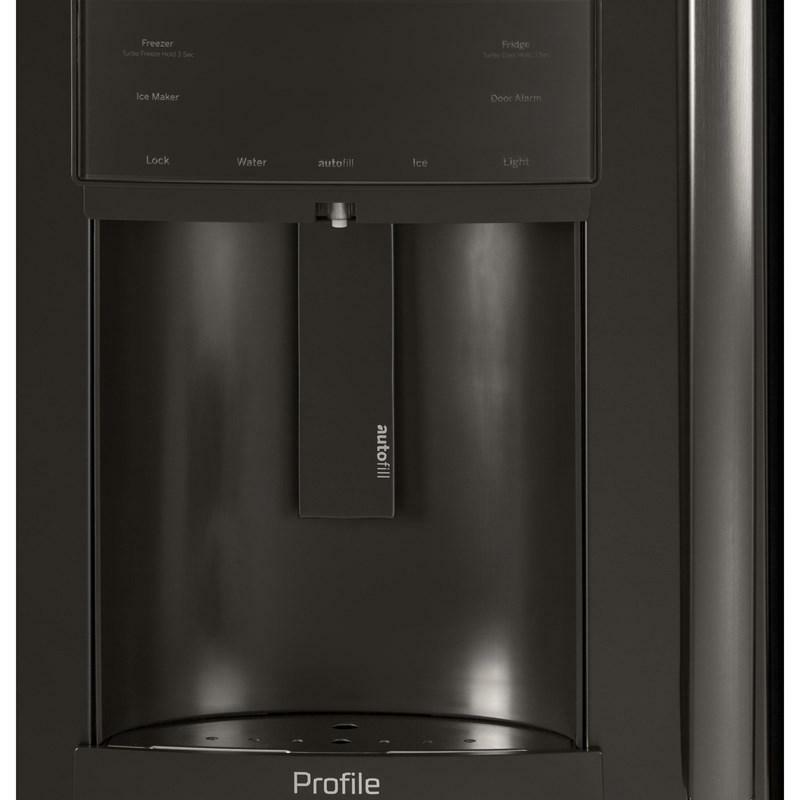 Multi-task while the dispenser automatically fills your container with the exact measurement of water you choose. 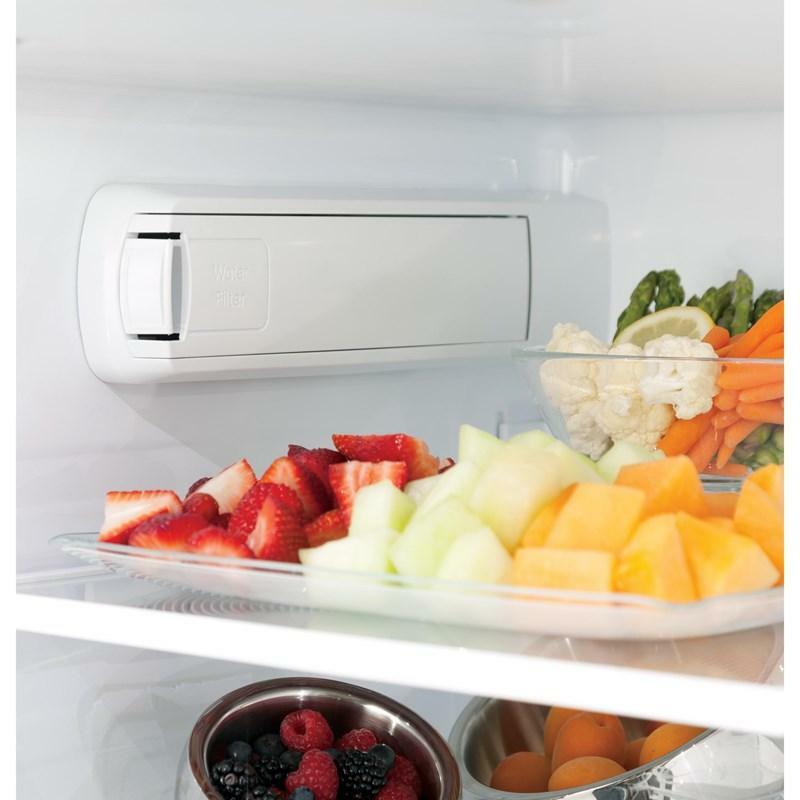 Reduces trace pharmaceuticals from water and ice* (* Removes 98% of ibuprofen, atenolol, fluoxetine, progesterone and trimethoprim. 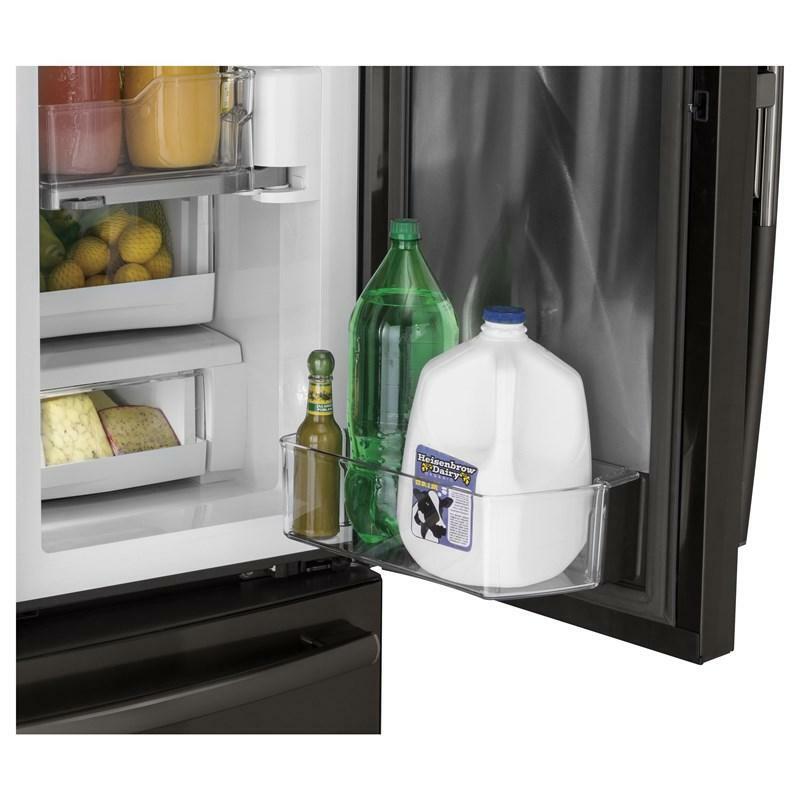 These pharmaceuticals are not necessarily in all users’ water). 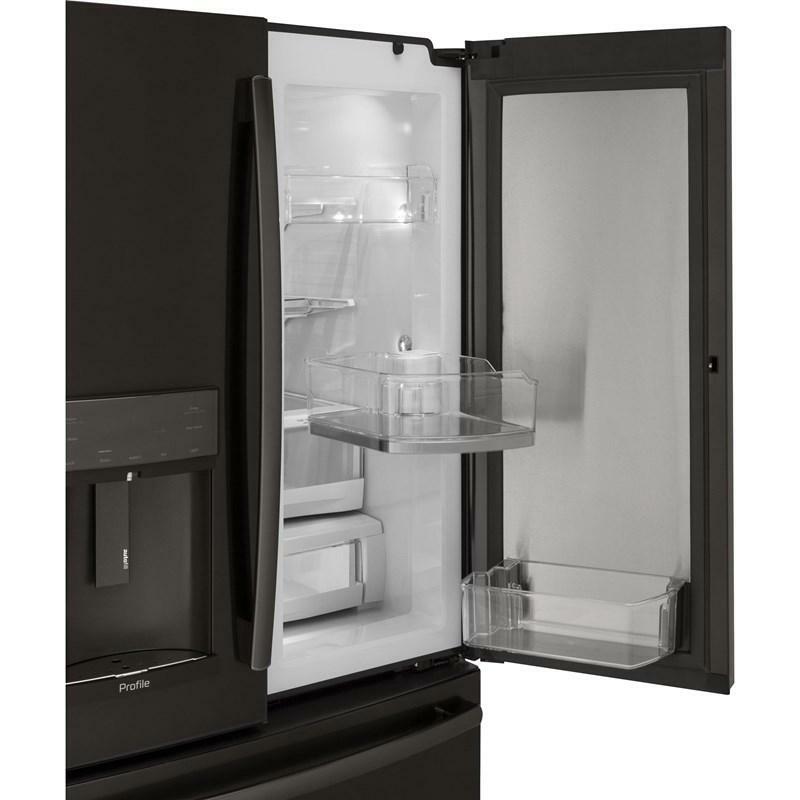 Additional Dimensions • Case Depth Without Door: 24 3/8"
• Depth with Door Open 90°: 43 3/8"
• Width with Door Open 90 Degrees Including Handle: 44 5/8"